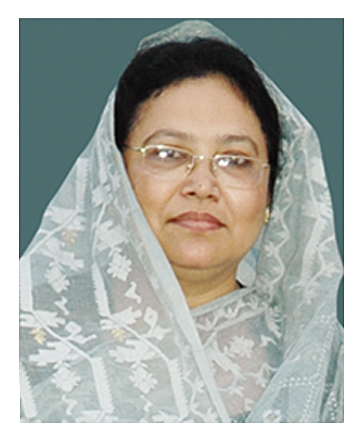 Mrs. Shiry Farhad born in Panchagarh, the northern-most district of Bangladesh, in July 09, 1962 in a very traditional and respectable Muslim family. She is an M.A from Dhaka University and also complete MBA & DUMS degree. She had a tremendous intention to do herself something for the welfare of the human and society. In her professional career she got herself involved with teaching profession in different women colleges to promote the women's creativity and their involvement in every spheres of the community. During the professional life she kept herself in touch with different professional training programs like "Problems and Possibilities of Financing Small Industries', 'Computer Skill Development' etc. She is very polite, dynamic, enthusiastic & also a good writer and organizer. She is engaged in various social, cultural, educational & philanthropic activities. She took the initiative to make vaccination camp for polio for the children’s & relief activities for flood victims. She has a great contribution about plantation of medicinal plants & organized of the training program for the distress women. She traveled many villages of Bangladesh and abroad for educational and philanthropic activities of Hamdard.